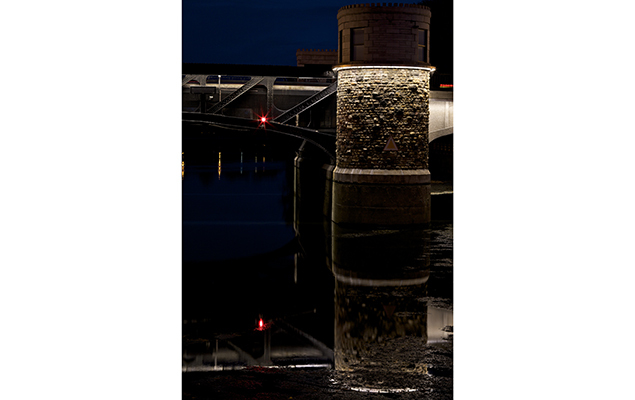 Grazing the noble stone material of the heritage Pretoria bridge imparts texture and rhythm. 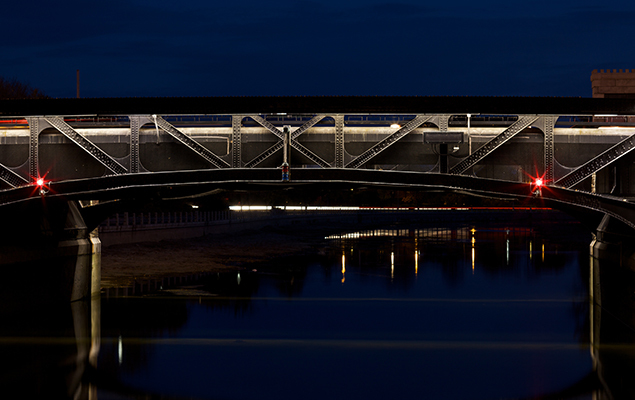 The same lighting treatment is utilized across the three different surfaces of the bridge, resulting in an interesting study on the play of light and material. 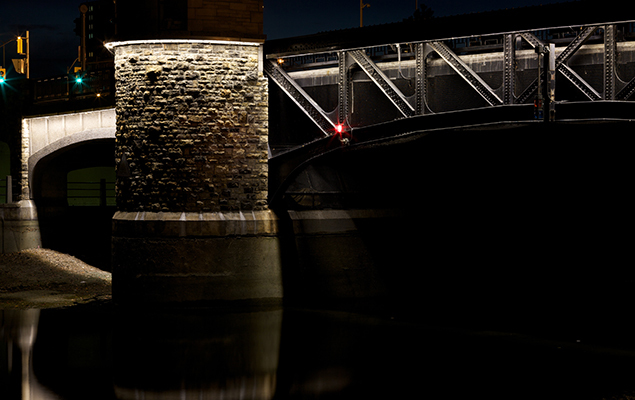 The ensuing glow highlights the architectural transition from approach spans, to rough stone piers, to the black trusses of this historic bridge on the Rideau Canal, a UNESCO world Heritage Site. 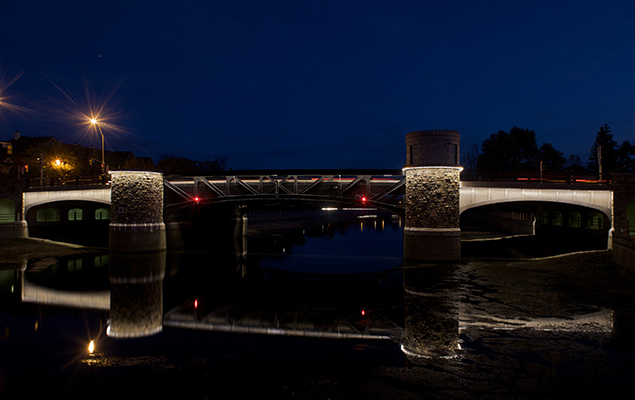 The simple installation enables easy maintenance, proffering a lighting solution with the longevity appropriate to the bridge itself.